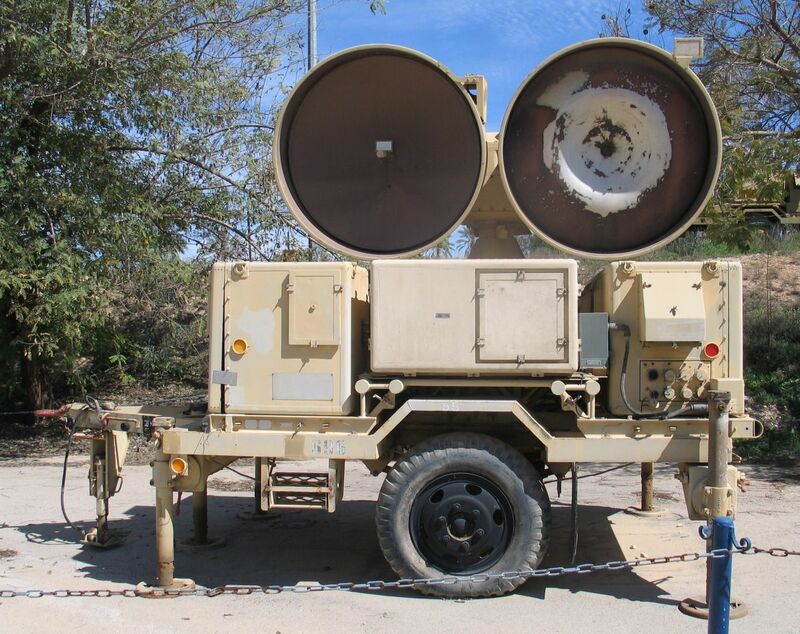 In the early 1980’s, while serving in the Israeli Defense Force (IDF), I was a fire control officer in a HAWK surface to air missile battery. Pretty soon after my basic and professional training the first Lebanese War, known as Operation Peace for Galilee broke out and my unit was deployed to the summit of Mount Barouk in Northeastern Lebanon. In this war, the IDF engaged various Palestinian militias as well as the Shia militias native to the Shia population of Southern Lebanon. Our primary enemy, however, was Syria under the father of today’s Syrian dictator, Hafez Al-Assad. 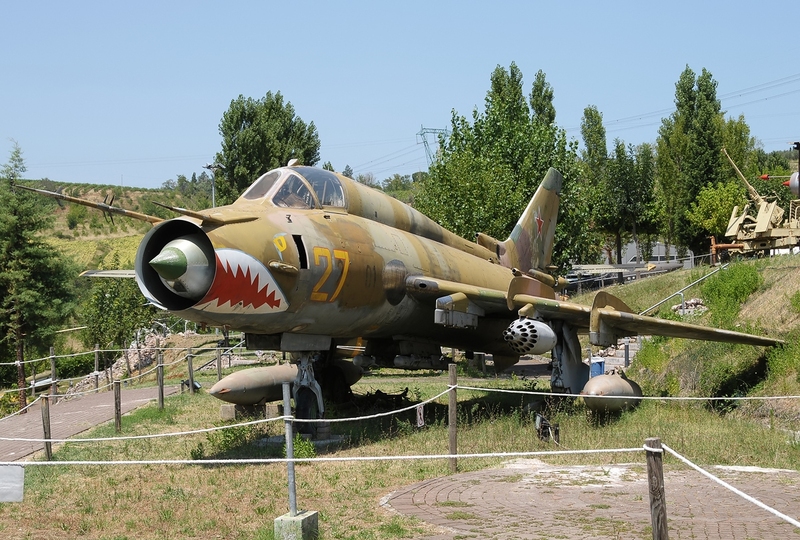 Our job was to shoot down the high-flying Syrian MiG-25 that was engaged in aerial photography of Israeli positions. As was since made publicly known, we had succeeded in that mission. Thirty-five years later, the Syrian theater is entering a phase of extreme escalation especially as far as its airspace is concerned. It is important to realize that Syria is a small country by North American standards; it’s about the size of Washington State. In this limited airspace, four major air forces are operating twenty four hours a day: the Syrians, the Russians, the Americans, and the Israelis. 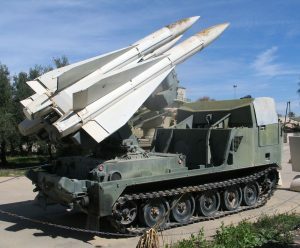 In addition to flying objects, both manned and unmanned, many of which are equipped with powerful radar systems with operational ranges in the hundreds of miles, all the aforementioned parties maintain surface based (in the case of the US, ship-based) surface to air (SA) missile systems that are operated at the highest levels of readiness. This means that the electromagnetic (EM) spectrum over Syria is full to bursting with every possible kind of radiation. 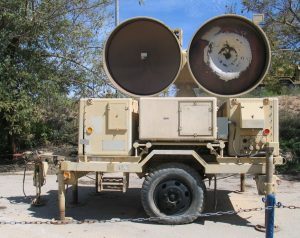 SA systems contain two types of radar: acquisition and illumination. 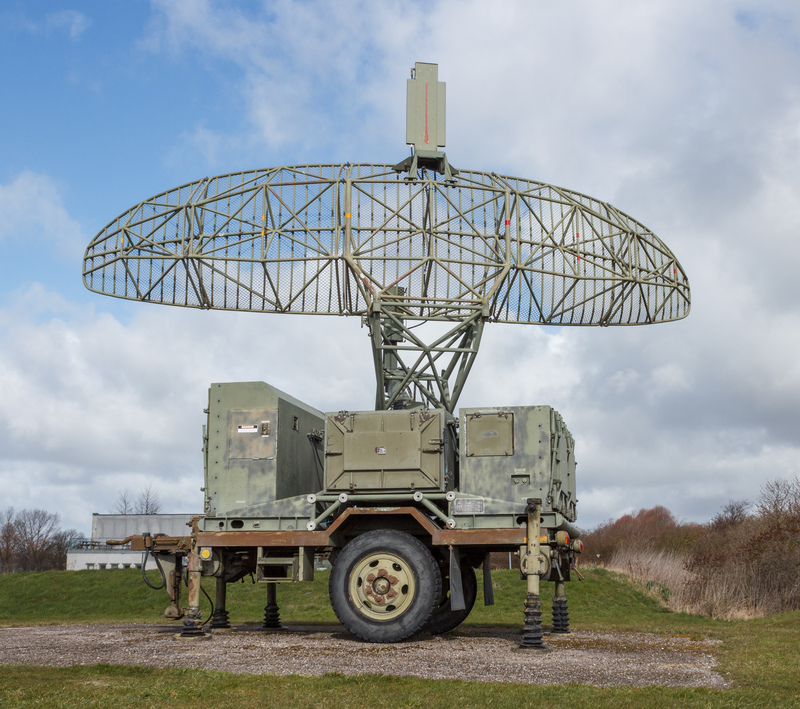 Acquisition radar is designed to “acquire”, meaning “find” or “discover” all flying objects that can be classified as threats. Its energy is thus diffused through a vast volume of airspace. 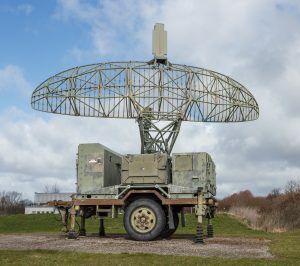 Illumination radar produces a very narrow beam (usually less than one degree of conical arc) that is directed at a particular flying object, bathing it in powerful EM radiation. The only reason for illuminating a flying object in this manner is the collection of high-precision data on its trajectory, such as speed, direction of flight, and other items that are beyond the scope of this article. The collection, in real time, of this data enables the illuminating radar to “lock on” to the flying target and follow it, even in the face of extreme maneuvering by the pilot. The only objective of illuminating a target is the ability to immediately launch on it with the goal of shooting it down. Russia has now officially put the US (and in fact the rest of the world) on notice that any aircraft, manned or unmanned, that is found in the Syrian airspace east of the Euphrates river on the border with Iraq, that does not belong to either the Syrian or the Russian air forces will be classified as a hostile target and illuminated by the Russian SA systems. The implications of this step, if in fact the reporting on it by the Russian media is accurate, amount to a declaration of war. What this means in practice, is that Russia has just declared all of Syria to be a no-fly zone for US, Coalition, and Israeli aircraft. This turn of events cannot be sustained neither by the US, nor by Israel. Both must fly over Syria in order to protect their vital security interests and defend their ground forces, both in Syria proper, in the Eastern Mediterranean, and in Northern Israel. In the aforementioned First Lebanese War, Israeli Air Force destroyed, sustaining no casualties, all of the Russian made and operated SA systems in Syria, guaranteeing itself unfettered air superiority for the duration of the conflict and beyond. It is conceivable, in fact unavoidable, that the US Air Force will have to take similar action in the coming days. The implications of direct engagement of Russian (as opposed to Syrian) SA installations by US forces are easy to understand. A game of chicken is playing out before our eyes. First, Trump, following up on a campaign promise, yielded tactical authority to the Pentagon. 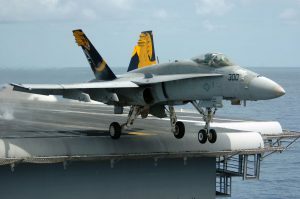 The Pentagon, under Secretary Mattis, began using the US Air Force for effect rather than for show as was done under the previous administration, leading to the shoot down yesterday, by an American F-18 of a Russian built, Syrian operated Su-22. This was a direct challenge to Putin’s red line in Syria as he had very clearly articulated to Oliver Stone in a recent interview: Russia would never permit Bashar Al-Assad to suffer the fate of Saddam Hussein or Muammar Kaddafi. The shoot down of the Sukhoi was a clear message by the Americans: let’s see you stop us. It now appears that Putin has raised the stakes. At the time of writing it appears that the Pentagon is signaling its willingness to deescalate, reaffirming that the American led anti-ISIS coalition will substantially limit its activities to northwest Syria, west of the Euphrates. An occasional radar lock on a US airplane flying close to that line should not be of too much concern, but a time will arise when US interests will require operating against Assad’s air force in the heart of Syria. At that time Mr. Trump’s leadership will be severely tested. Poroshenko To Washington To Meet Trump!